Freehold: Monmouth County Sheriff Shaun Golden is proud to announce the graduation of 23 recruits from the 33rd Basic Course for County Corrections Officers. The graduation, held at the Monmouth County Police Academy on Nov. 22, comes after the completion of an intense 12 week curriculum that prepares recruits for careers as corrections professionals. Of the 23 recruits, eight will serve at the Monmouth County Correctional Institution, headed by Acting Warden Barry Nadrowski. MCCI is nationally accredited in corrections and correctional healthcare, and, houses up to 1,328 inmates. Seven will serve at the Middlesex County Department of Corrections, five will serve at the Ocean County Department of Corrections and three will serve at the Union County Department of Corrections. Training for the Basic Course for County Corrections Officers is coordinated by Staff Sgt. Christopher Citarella of the Monmouth County Sheriff’s Office, Corrections Division. Throughout the 12 weeks, the corrections officers engaged in physical training and drill and learned how to properly use firearms, batons, handcuffing techniques and mechanical restraints. They were also trained in unarmed self-defense and emergency medical response. Classroom instruction included topics on law enforcement and ethics, stress management, contraband and evidence processing, characteristics of inmates and drug interdiction and identification. 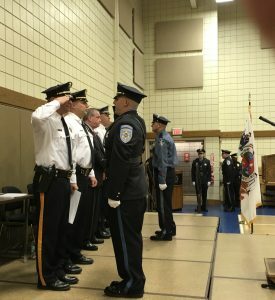 The presentation of awards went to John Covone, Ocean County Department of Corrections for marksmanship, Paul Sneddon, Monmouth County Sheriff’s Office Corrections Division for academics, Jonathan Robertson, Monmouth County Sheriff’s Office Corrections Division for physical training and Jonathan Chando, Middlesex County Department of Corrections for merit. 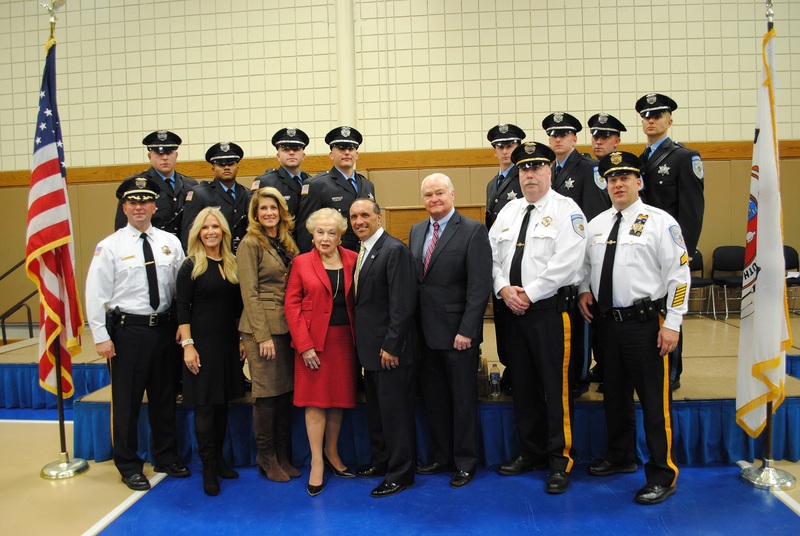 To date, 619 corrections officers have completed the Basic Course for County Corrections at the Monmouth County Police Academy.